The Meadowlands in New Jersey, home of the Giants and the Jets, was the site of Disney On Ice up until today. There are no concerts scheduled for the Izod Center in the Meadowlands until after the Super Bowl. 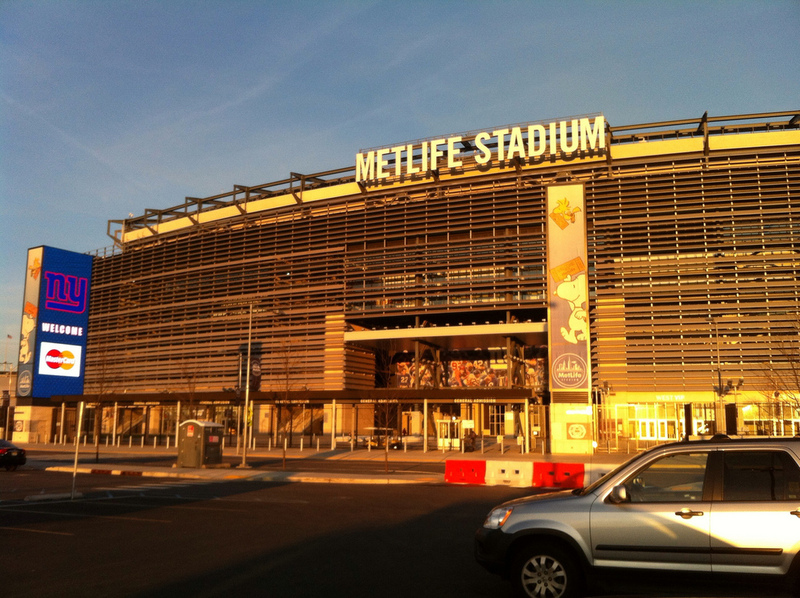 Now that the Jets, the Giants, and Disney has cleared out, preparations for the Super Bowl are underway! Trucks have begun arriving, according to the New Jersey Sports and Exposition Authority. Broadcast trailers, food vendors, and security trailers are expected soon. Next step – security fencing will be installed 300 feet around the perimeter of the Meadowlands rather than the typical 100 feet for regular events. This is considered a Level One security event and security is controlled by the Department of Homeland Security. Fox Sports will begin doing their cabling work and moving in trailers soon. Live racing at the Meadowlands track will end on January 22nd and the entire Meadowlands complex will go into a security lockdown on Monday, January 27th. The last step is the Super Bowl signage and the field logos – that has to wait until we know the names of the teams who will be playing. Everyone in North Jersey is getting excited to be hosting the first outdoor cold weather Super Bowl!